I am convinced that rheumatologists monitor and treat rheumatoid arthritis (RA) more effectively than we treat MS is because RAers (people with RA) are more activated and engaged with their own disease. Granted active RA is more likely to cause symptoms, i.e. painful, warm and stiff joints, compared to MS were over 90% of the disease activity is asymptomatic. However, the fact that the RA disease activity score includes a PROM (patient related outcome measure) makes all the difference. Rheumatologists need their patients to score their disease before they can make a decision about treatments. We need to get to the same point in MS. Why? It is clear that as effective drugs for treating MS have emerged we need to have documented evidence of disease activity, for example relapses and/or MRI activity to make decisions about starting, switching or escalating treatments. This is to make sure we are using the DMTs in the cohorts of patients in which there is evidence they work and that they are cost-effective. As DMTs for progressive MS emerge we will need to do the same for progression. There are two ways of doing this, i.e. to get your neurologists to make sure they do the EDSS, timed-25-foot walk and/or MSFC (MS functional composite) every 6-12 months or to start monitoring your own disease. I have recently been contacted by a medical APP developer who want to convert their APP into an MS monitoring APP. It is very appealing to collaborate with them because they have an existing platform. My worry is the design of the APP (not MS specific) and whether or not it is suitable for MSers from a design perspective. I also have concerns about the business model. Someone has to pay for the platform, who is going to pay; the users (you), healthcare payers (NHS, insurance companies, etc. ), sponsors (e.g. Pharma) or via advertising? Unfortunately, in the modern era there are no free lunches. I am aware that a lot of you are already tracking and monitoring your disease. I would appreciate hearing about your experiences and recommendations. Our time at Barts-MS is becoming increasingly more valuable and I need to focus on things that will really make a difference to be people with MS; we need transformational technologies and not another APP to burden. I have been pondering the idea of developing a 360-degree web APP, similar to TripAdvisor, called MSAdvisor. The idea is to use this platform to allow MSers, HCPs and MS Service providers to come together on one platform. There is nothing like a bad review to improve service provision. What do you think? In the weeks leading up to my last neuro appontment, I thought it would be helpful to log what was happening, it is very difficult to recall information quickly in the alloted time. I jotted down symptoms and frequency, put them into a word document with frequency headings – daily/weekly/monthly. It included a description of a recent relapse. I kept it short and to the point. The letter to the GP was scant with no reference to how ms is affecting me. There has been no MRI since starting the dmt 3 years ago. I stopped the dmt after that appointment. If I am offered another neuro appointment I see little point in attending. I don't think the lack of a PROM is the issue. The really galling part about all this is that my first 2 relapses were misdiagnosed as strokes, I naively thought I was in safe hands when I arrived at the neurolgy department. – The data is treated as reliable by healthcare professionals and replaces the need for those tests to be done in valuable clinic time – otherwise it's just something I'm doing for my own edification. – There is clear information about the purpose of each of the tests and prompts for when the trend in results means you might want to speak to your specialist. I think your idea of MS Advisor could be good – not just to review what MS services/HCP are providing but also to share good practice & resources. It's interesting that you mention regular EDSS timed walk monitoring as I'm going to ask my neurologist about this at my next appt. I've not had the test (only diagnosed in April 2016), but feel that my walking ability has decreased, despite starting Tysabri in May 2016. I monitor my symptoms myself & my MS nurse is very good at checking up on me but I feel that my opinion about my walking is subjective & it would be good to have proper, statistical data on whether my walking is improving/deteriorating & what might be impacting on that. Is it possible for me to do the EDSS timed test at home? Even though I don't usually comment, I find your blogs very interesting. Many thanks. My first experience with a neuro when I was suffering a relapse and did not know (wasn't diagnosed yet) was terrible. I went to him as I was suffering numbness, pins and needles, serious fatigue and lhermitte's. When I explained all of this, he just replied that yes we all to varying degrees suffer with sensations like that, and that sitting in his chair his left knee also felt a little tingly. He then went on to tell me that because I worked and had young children, I just needed some time to myself to relax. He appeased me at the end of the consultation by agreeing to do an MRI but assured me that all would probably be well. The next thing I am in his office having the lesions on my brain and spinal cord explained to me. I feel passionate about stopping this happening to anyone else but it is difficult. I had done my research and had chosen a neuro whose profile listed MS as one of their areas. I agree we need to self-monitor but this can be quite tricky with the asymptomatic nature of MS. I do what I can. "He diagnosed CIS which has since turned to MS and at the time told me there was no real point in starting dmt as they are only 30% effective and have a lot of side effects…"
A lot more education needed, it appears. Very troubling. Appalling. If this was the U S , I'd sue. Indeed. I have thought about it. I'm in the UK. Sorry, but I don't warnt to monitor my MS. That is fustrating an no DMT has works. I think the idea of ​​a fantastic platform, an app for real monitoring of the disease and that would allow the interaction of the various involved with MS (doctors, patients, nurses, researchers, etc.). I downloaded some applications of "management of MS" and found it all very weak, seemed more alarm to warn the application time or the medicine, basically boil down to this. A comprehensive platform to put MSers contact neuros, nurses, etc., and could collect data for future assessments, surveys, etc., would be fantastic. I see several black still "demonizing" the teeth, while their patients are becoming increasingly unable, sequelae. I don't know where it came from "teeth" but it was to be out in place "DMT", "many neuros demonize DMTs". I think a well organized app for us to manage our disease and symptoms is a brilliant plan. The more information someone can put in my hands about managing my issues, the better. It would please me very much to review the medical care I receive in hopes that it would make future care better. I am not from the UK and the country I live in (and my experience with A handful of MS neurologists) is that the patient has to take care of themselves. There is never any follow up from a doctor or nurse during or post relapse. The people I know from this region, which is a high MS region, have the same experience. They all have a number of very troubling symptoms, have been treated with third line therapy, and are active in management of their own disease because the clinic does't support the patients effectively. I should mention, my neurologist has never done a 25 foot timed walk on me. Nor the other test you mentioned MS Functional Composite. It does strike me that rheumatologists take care of their patients until symptoms are managed. I would pay for a good app to look after myself, and in order to keep pharma ads out of it. Something that is robust, interactive, informative and data downloadable to spreadsheet. Thank you for putting that out there. OOoo… Almost forgot. Until then, what is needed is simple pen and paper mechanism that when handed to clinical can be reviewed and scored. Essentially a "Daytimers" calendar sheet. Instead of lines to write on its more like graphing paper where columns of cells check off and or score symptoms. Easy peasy, effective, accessible to all patients not just those engaged in technology. Can be placed in the patients file, is instantly transportable to other providers or internal clinicians. The key in use of technology is all patients, not only those who opt in to some vertical market diatribe of which there is already buckets of it out there. Its all dead already albeit seemingly new. Clinical needs actually discourage these and encourage in ways they can for Google and/or Apple, working with them, to provide the solutions that will revolutionize health care globally in far far far more granular fashions. Better care for patients and better management thereof for clinical. A monitoring app which is taken seriously by neuros would be great. I also have ulcerative colitis and ankylosing spondylitis. My rheumatologist sent me to physio and they now monitor me every 6 months and have asked me to register with a monitoring app which tracks my symptoms, these are then looked at by the physio. I put more faith in a system that I am invited to use by a health professional. Can you use an existing platform? Can the MS register have a section for self tests such as 25 foot timed walk? Also better questionnaires on symptoms and feedback to the pwms to help us track our progress. Currently we diligently fill out our regular questionnaires and the info goes into the ether. We have to trust the info is being made useful. 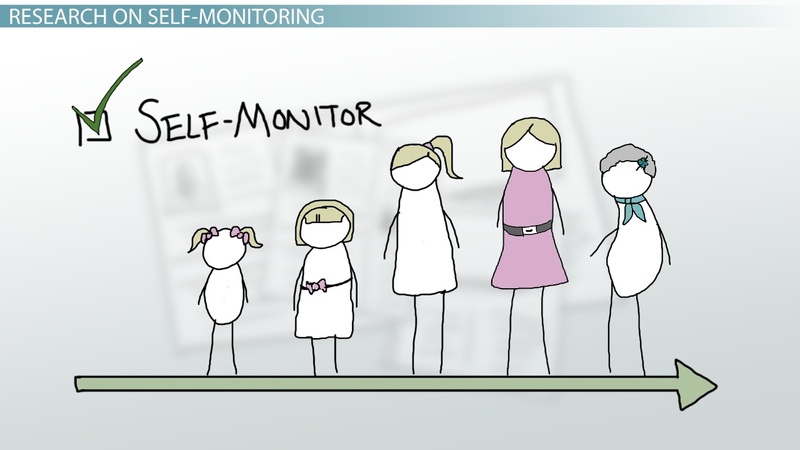 I agree that self monitoring is important as is helping pwms to engage with their own management empowering. It is frustrating though that every significant decision has been driven by me and every new symptom only acknowledged with my insistence of its existence. Having a platform to record my symptoms in real time would be invaluable. Thank you for your regular informative updates. Just a came across this blog post – very interesting. I'm was diagnosed in Nov'16 and my consultant asked me to use the MS IS for that he / researchers use. I fill this in every month – in addition I track habits / symptoms with my billet journal which so far works really well. I'm also attending a pilot from the MS society on self-management…There are 4 others on the course and they all want to know what they can do to manage/track and monitor MS between appointments.